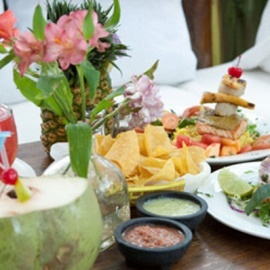 El Pueblito Patio's menu is a mouth-watering compendium of some of the best recipes from the countries that we represent, Guatemala and Mexico. Our diverse culinary output is the result of more than 500 years of mixing four main cultural and historical ingredients to create a concise and delightfully appetizing cuisine. Join us for the best seafood in Houston in the heart of Montrose. Available for lunch, dinner, and catering .